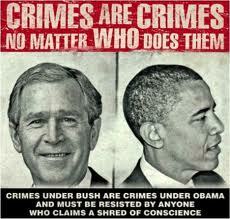 OBAMA-BUSH-CLINTON-CIA AND MORE INDICTED FOR WAR CRIMES. PIECZENIK REVEALS THE REAL REASON THE BOSTON BOMBING & WACO MISSILE ATTACK WAS STAGED!!! 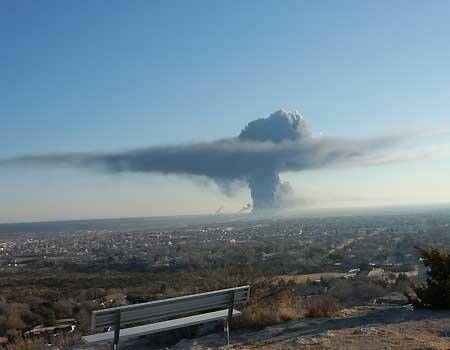 MEDIA ADVISORY – March 21, 2013 <– MEDIA KNEW ABOUT THIS 27 DAYS BEFORE THE BOSTON & WACO ATTACKS! More information on the Task Force and its members is available online. RSVP: Space is limited. Please let us know if you plan to attend. A light continental breakfast will be available. THE SPECIFIC INDICTMENT of Bush Jr/Obama/CIA/US Military “Torture of 9/11 Prisoners”at GITMO — FINALLY CONFIRMED as a “WAR CRIME” — Equivalent to Prosecuted Nazi War Crimes and the Torture/ Internship Of Japanese Americans During WWII. Nothing beats a sensational front page news story like a Boston Marathon Massacre! Most readers would miss the incidental but far more serious implication for the moral compass of America than the NY Times story by Scott Shane, entitled, “U.S. 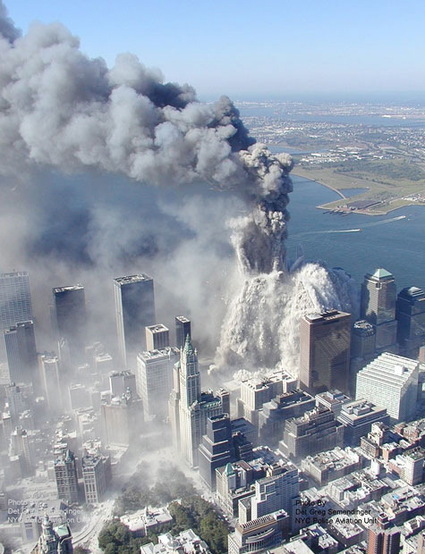 Practiced Torture After 9/11, Non Partisan Review Concludes”. 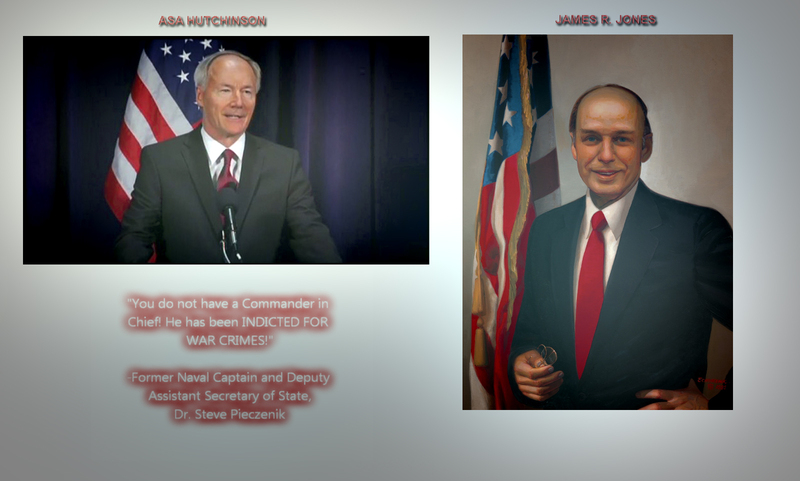 In this article, both Asa Hutchinson[Republican/Bush Jr Administration] and James R. Jones [Democrat, Congress] indict the interrogation and tortures committed by Presidents Clinton [Rendition], Bush Jr [full menu of tortures], Obama [Bush Jr in Black Face]. In essence, this bipartisan report, along with 6,000 pages of still classified docs IMPLICATES THREE ADMINISTRATIONS of INTERNATIONAL WAR CRIMES—RENDITION, TORTURE, ENHANCED INTERROGATION. What does this mean in the midst of our frenzy to find ‘supposed terrorists’ of the Boston Marathon Massacre? It means that, as I have previously repeated time and time again, we have had and still have Presidents who have willingly committed acts of International War Crimes Punishable by Death and / or Life Imprisonment. Furthermore, to make matters even worse, the extensive investigations showed that the abominable, criminal activities of interrogation, torture, water boarding committed by the CIA, US military, US mercenaries and sanctioned by three presidents were like the wars themselves- totally useless. In short, the USA is GUILTY of COMMITTING USELESS WAR CRIMES!!! Have I, an experienced counter –terrorist expert with thirty years experience who had never had to touch even one detainee, let alone torture or ‘interrogate’ anyone, suddenly had a fit of righteous indignation or just decided to vent his RELENTLESS FURY for UNREPENTANT SINS of our THREE PRESIDENTS and their MINIONS? The answer lies not in the headlines nor in the hysterical media distractions of a tragic occurrence which I might have been able to predict (I think Patriarch did predict this), had I known before hand that this report would come out on the same day as the BOSTON MARATHON. That’s right! You’ve got it! Once again, Obama in concert with FEMA, CIA, FBI, and other National Security minions—the usual ‘choir boy suspects’—decided to OFFER A DISTRACTION. But please place this Boston Marathon along side the sacrifices that Bush jr was willing to make in terms of dead American bodies in 9/11—close to 3,000 innocent Americans in the World Trade Center alone. The Boston Marathon Massacre is small potatoes in the theater of distractions for war crimes. A decade ago, Bush Jr had no qualms, of course along with his close pal Cheney, of sacrificing a few thousand US military men in the useless Iraq War. Don’t forget the hundreds of thousands of innocent Pakistanis, Yemenis, Afghanis, and Iraqis that Obama, Panetta, Tenet, Hayden, Brennan et al, are willing to sacrifice in the name of ‘terror’ or, excuse me, the ‘war on terror’. 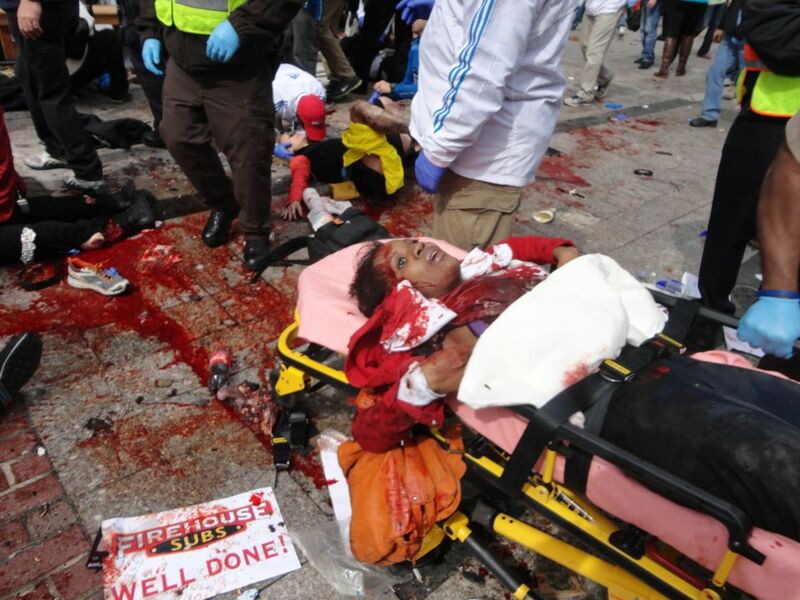 So what’s a few Americans who were killed and injured in the Marathon Race? Nothing, really, in comparison to the full scope of the extent of the horror that Clinton, Bush jr and Obama collectively had engaged in maiming the innocent; torturing the prisoners; injuring and killing the countless thousands of innocent civilians; destroying societies and countries; and creating world wide MAYHEM and CHAOS—all for the sake of NATIONAL SECURITY?? Let me be more precise and list some of the issues that are relevant to the ‘torture’, ‘interrogation’ and ‘the legal consequences’ of those actions over a thirty year period since the Clinton Administration. But first let’s go back, a bit further to WWII. –A Japanese General was summarily executed by the US allies for waterboarding pilots who had been caught in the Jimmy DoLittle Raid on Tokyo. — US Army soldiers during the Vietnam War summarily placed in prison for waterboarding Viet Cong prisoners of war. –In 1948, Norwegians executed German SS officers practicing ‘enhanced interrogation techniques’ called ‘Versharfte Vernehmung’ developed by Gestapo Chief Heinrich Muller, using ‘sleep deprivation’, ‘extreme cold’, ‘suspension in stress positions’ and ‘deliberate exhaustion’. 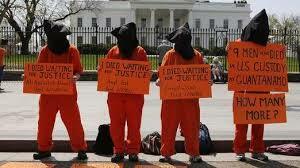 –Navy Captain Albert Shimkus Jr, who ran a hospital for the prisoners at Gitmo protested the unethical behavior. — Bill Clinton, Sandy Berger approved rendition. –Bush jr, Rumsfeld, Cheney, Condi, Steve Hadley, Elliot Abrams, Gen. David Petraeus, Jose Rodriguez [head of CIA Covert operations], John Brennan, David Addington [WH staff], all approved the use of severe interrogation methods including hypothermia, waterboarding, stress positions, abdominal beatings, genital torture, and other bodily and psychological harm according to Department of Justice Concurrence of Attorney General John Ashcroft as written in the paper by John Yoo. Also concurring to these aforementioned methods were NSA Director General Michael Hayden, SecState Collin Powell, and DCI George Tenet . –The only official to dissent officially and was subsequently reprimanded was Philip Zelikow, PhD who wrote a memo contesting the DOJ’s Torture Memo written by John Yoo and others in “Justice”. — Karl Rove told BBC in 2010: ”I’m proud that we kept the world safer than it was, by the use of these techniques. They’re appropriate, they’re in conformity with our international requirements and with US law”. 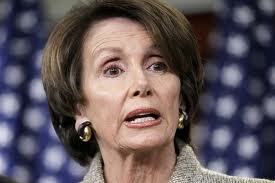 –Congresswoman, later Speaker of the House, Nancy Pelosi [D, Cal. San Francisco] in a meeting with the CIA/Bush Jr Administration—WHOLE HEARTEDLY SUPPORTED ENHANCED INTERROGATION AND TORTURE! There goes our in-house LIBERAL—ALL THE WAY WITH TORTURE, PRINCESS NANCY! What happened to the infamous University of Berkley WAR PROTESTORS-IT’S ONE OF YOUR OWN !!! And what about your Pacific Heights Liberal Constituents? 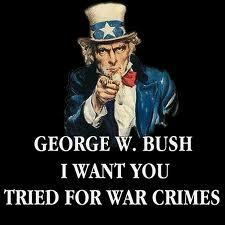 Do they know that you are true blue SADIST and WAR CRIMINAL? –But Congresswoman Jane Harmon also from California and a Democratic Liberal had the guts to dissent and object. But she was in the minority. –James Steele, in charge of the US Death Squads [Paramilitary] in El Salvador where 75,000 civilians were killed was placed by Cheney and Rumsfeld as ‘OUR MAN IN IRAQ’ to train the counter insurgency. Also involved with Elliot Abrams and Ollie North in the Iran Contra Affair. War criminal!!! It’s this same ‘pobrecito’ who literally gave dictation to Kathryn Bigelow for her fictional film rendition of ‘Zero Dark Thirty’ and then after being reprimanded by me in an email to my contacts, Jose quickly recanted his story. What an dishonorable, cowardly pobrecito!!! General David Petraeus, who would become the DC I and tried to distance himself from Steele was deeply involved and knowledgeable about the torture and paramilitary death squads in Iraq. My bad!! Even yours truly could be fooled by the presumed integrity of a man who had been shot by his friend on a shooting range and claimed that he was the innovator of the thousand year old counter insurgency theory. What a liar, well, someone saw fit to put Petraeus in his proper place of ignominy. Too bad for the honorable men and women who served him and were fooled by him as I was. Petraeus is an example of how rampant sociopathy and self aggrandizement rages through our so called warrior leaders. BTW, in most cases of enhanced interrogation, one often needs the presence or advice of a physician, psychiatrist or psychologist. I would recommend consulting my former psychiatric colleague who presents himself as an expert in the mind of a terrorist-Dr. Jerry Post. He also trained at Harvard Medical College. However, unlike myself, he was the founder and director of the Center for the Analysis of Personality and Political Behavior at the CIA for over 20 years. In fact, he was so good at questioning terrorists or suspected terrorists that he was awarded the Intelligence Medal of Merit in 1979 and received the studies in Intelligence Award in 1980! He then received the Nevitt Sanford Award for Distinguished Professional Contributions to Political Psychology in 2002. He was a consultant for the CIA for a long time and probably still is! He presently resides as many academic CIA assets do at the George Washington University Department of Political Psychology on E Street in DC. I am certain he knows a lot more about enhanced interrogation than any other psychiatrist or medical doctor….including me! By now, my dear readers, I am certain you get the idea. 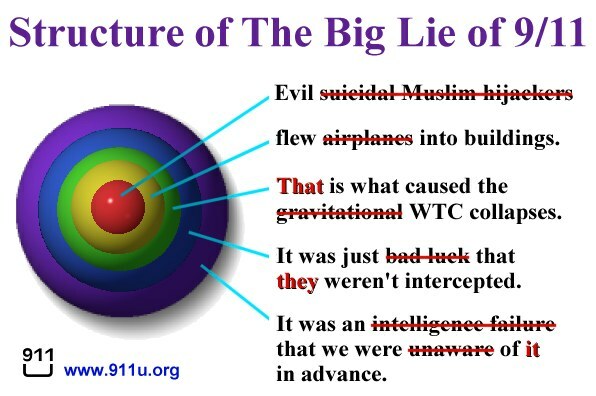 False flags galore. Deaths abound. Non-deaths are opine as in Sandy Hook. At least, in the Boston Massacre, one can see how much of a ‘false flag’, Sandy Hook was, without any pictures of blood, guts and death. Remember that scene in Chicago where you have to razzle-dazzle them??? Distraction from the REAL story. But the point is quite simple! Once again, Executive tyranny reigns supreme over our Republic. It started with Slick Willy and Rendition and his corrupt political and economic cronyism. Then it accelerated and deteriorated with Bush Jr and company. And now the President of “NON-TRANSPARENCY” and “NIXONIAN SECRECY” and “DRONE WARS” has continued the slide of our republic into a criminal civilization worthy of an international tribunal placing our leaders in jail or worse. As for me, as I once said to a former governor who accused me of tyranny acting against his brother, Bush Jr, I replied very calmly, “In times of tyranny, treason is PATRIOTISM”!!! ← Marco Rubio A Rothschild Czar: Sleeper Cell Rubio Goes The Way Of The New World Order Slavery ID Cards!